Description: Does God use violence to redeem us? 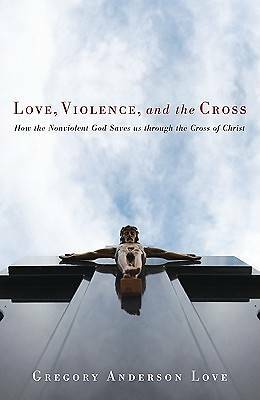 What is the relationship between divine love and violence in regard to the saving significance of the cross of Christ? In Love, Violence, and the Cross, Gregory Love dialogues with two responses to this question, while presenting a third alternative in which Jesus's death is simultaneously a crime and an element of God's saving actions. Through familiar stories in history, literature, and film, Love presents five constructive models that cumulatively affirm God's saving act in the person and work of Christ while letting go the myth of redemptive violence. They affirm redemption, but one with a different shape: Instead of exacting the absolute punishment, God redeems by ""making good"" God's promise to humanity to secure human life. Love argues that God is nonviolent, while retaining the core idea presented in the New Testament witnesses: that reconciliation occurs in the work of Christ, and that the cross plays a role in that divine work. Endorsements: ""All categories of systematic theology converge in the cross. This book's greatest strength is that it thoroughly explicates the systematic implications of traditional and contemporary atonement models. In response, Love provides a unique approach to the atonement, advancing the burgeoning theological discussion of this topic. Instead of a monolithic model, Love proposes that different human situations can be met through multiple atonement models centering on the single theme of a nonviolent, yet redemptive, view of the cross."" --Marit Trelstad editor of Cross Examinations: Readings on the Meaning of the Cross Today ""Love, Violence, and the Cross reflects Love's exceptional talents as a teacher. He clearly and fairly explains to his readers what ""penal substitutionary atonement"" is, why it is being critiqued, and what Christianity must not lose in the process of this critique. Drawing from movies, novels, and current events as well as from both age-old and the most contemporary theological literature, Love insists that Jesus Christ effects redemption, offering models for how to keep the cross at center without perpetuating violence."" --Cynthia L. Rigby author of Promotion of Social Righteousness About the Contributor(s): Gregory Anderson Love is Associate Professor of Systematic Theology at San Francisco Theological Seminary and The Graduate Theological Union; he is an ordained Presbyterian pastor.